The fearless leader of the greatest anticlimax known to narrative, polar explorer Ernest Shackleton (1874-1922) is today’s go-to superhero. It was not always thus. He didn’t discover the South Pole. He didn’t cross the Antarctic continent. But what he did do managed to make such feats pale in comparison. After his ship, The Endurance, was crushed by pack ice in 1914, stranding his Imperial Trans-Antarctic Expedition beyond hope of radio or rescue, Shackleton led twenty-seven men on a nearly two-year journey across shifting ice floes, treacherous oceans, and uninhabited island edges, culminating not only in a near-suicidal 800-mile lifeboat journey across the roughest seas in the world, but an impromptu, inexperienced traverse of an uncharted and glacier-ridden mountain range. And when he returned everyone under his care alive in 1917? A nation shrugged and got back to the business of slaughter. Despite being true, the story of The Endurance involves so much suspension of disbelief that every film made to date has fallen short, and every text has been crushed by the packed action. 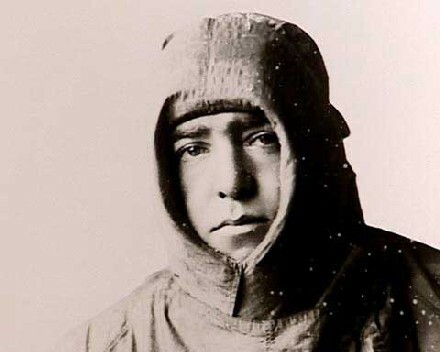 But Shackleton’s irrepressible optimism and perseverance outlasted the 20th century, and now his adventure is recognized for what it was: the most excellent.